The electric light shoes were designed for a Japanese footwear company, Onitsuka Tiger, by Freedom of Creation. 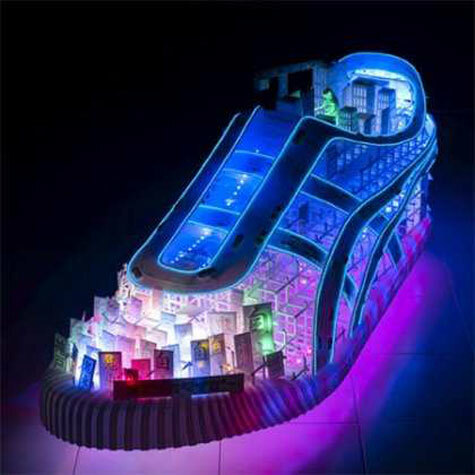 The shoe is 3 feet long and contains a miniature city inside, the stripes resemble streets and highways and tall building point out from the shoe’s opening. The huge shoe is intended to communicate Onitsuka Tiger’s Japanese roots. 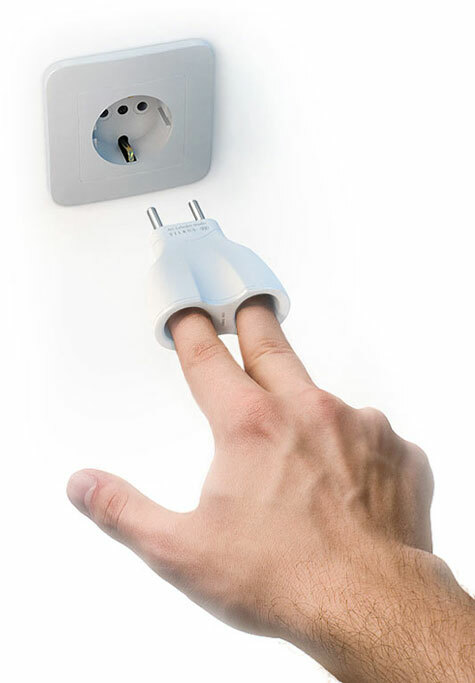 Create an adapter for sticking one’s fingers into electrical sockets. The Vilcus dactyloadapter (adapter for fingers) was especially developed for people who like closing the electrical circuit with their own fingers. Many people get a kick out of a direct contact with AC power supply. To that end, people normally use U-shaped fragments of bare wire, paper clips or even usual metal forks. All these gimmicks are unreliable, short-lived and, most important, tend to cause a short circuit or even an inflammation in the wiring. 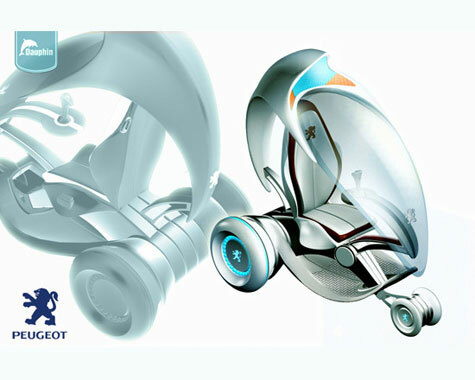 This futuristic scooter is still just a concept desperately waiting for someone to pick it up. 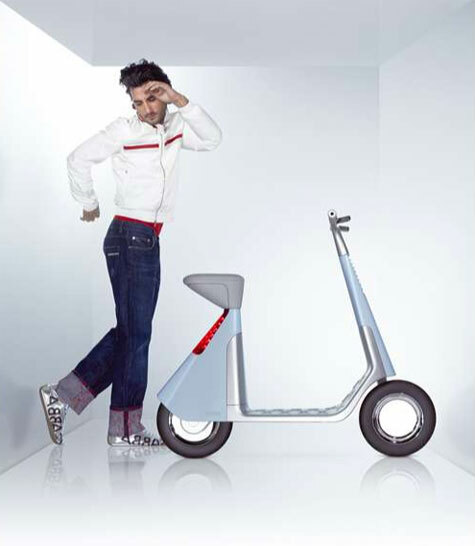 The GRO Scoot was designed for urban life so that it is classified as a bicycle and doesn?t require a license or a plate to drive. However, the GRO Scoot can make it to a pretty speedy 30KM per hour, and it will last for 40-50KM on one recharge. The expected retail price would be $2000, which is still cheaper than a Segway and it doesn?t require losing all circulation in your feet after 2 hours of riding around. PEUGEOT DAUPHIN is a pure electric vehicle. It can be charged at home just like a cellular phone and the full charge takes just a little over six hours. For recharging just drive the Dauphin for top of the Peugeot Dock/ Recharging Station. The Dauphin was designed/ created to be a smart vehicle with a high rate cost efficient and not to harm by any way the environment. A model of a driverless bus is to go on display at the Science Museum in London. Its designers, Capoco systems, said the bus would use magnets embedded in the road to navigate the streets. 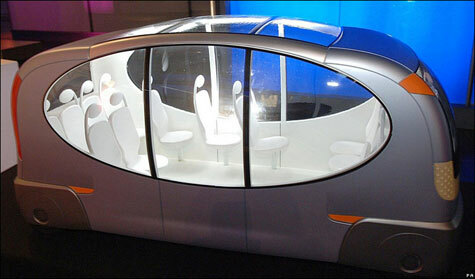 A prototype of the futuristic bus is due next year.